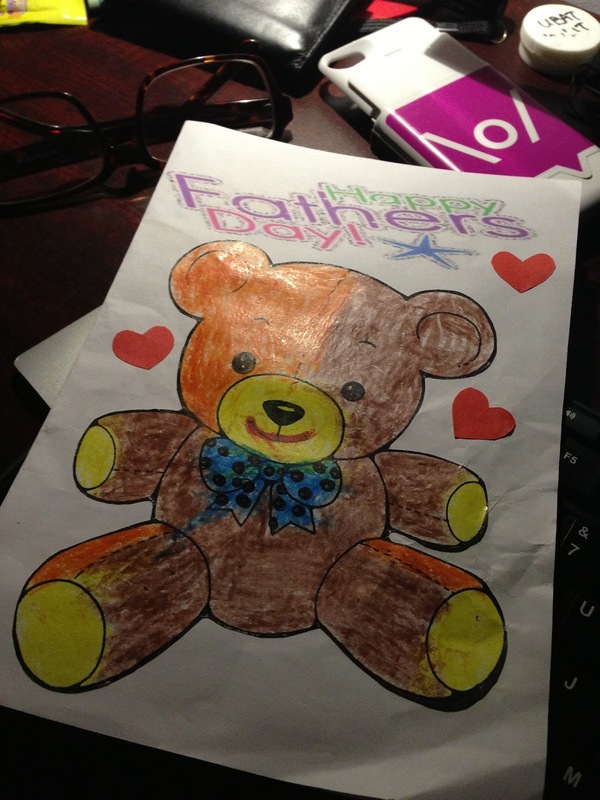 I'm touching when my first daughter she gave me this.... My first "Happy Father's Day" greeting card from her. When I look at this card I can't believe that now she can color the Teddy Bear and give it to me... Wow fast time passing... so what next? Her primary six report card? I sure the other father or you long time ago have the same feeling of what I have now. Happy Father's Day to you all who are father here!! !